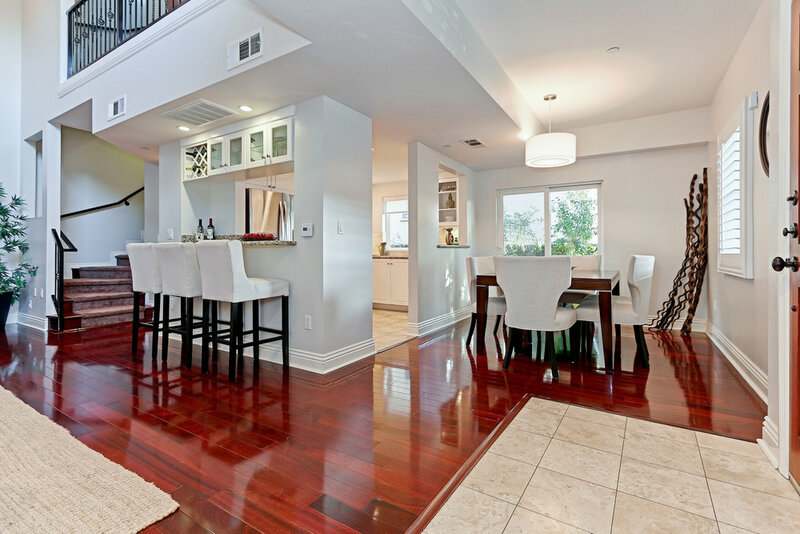 This west-facing front unit townhome has a non-traditional floorplan with an unexpected open feeling drawn from dramatic two-story ceilings in the main living areas. 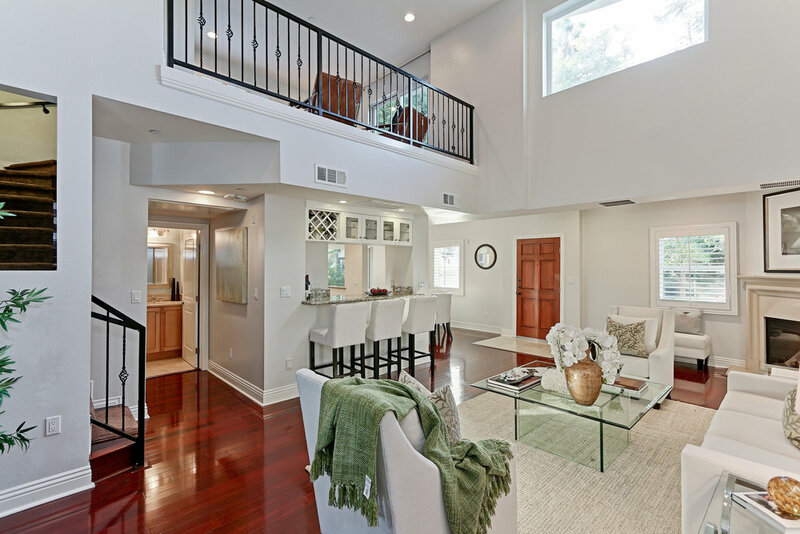 The home features formal living & entertaining spaces on the main level, a loft/family room that opens direct to a large deck on the mid-level, and 3 bedrooms, 2 baths, and a laundry room on the upper bedroom level. 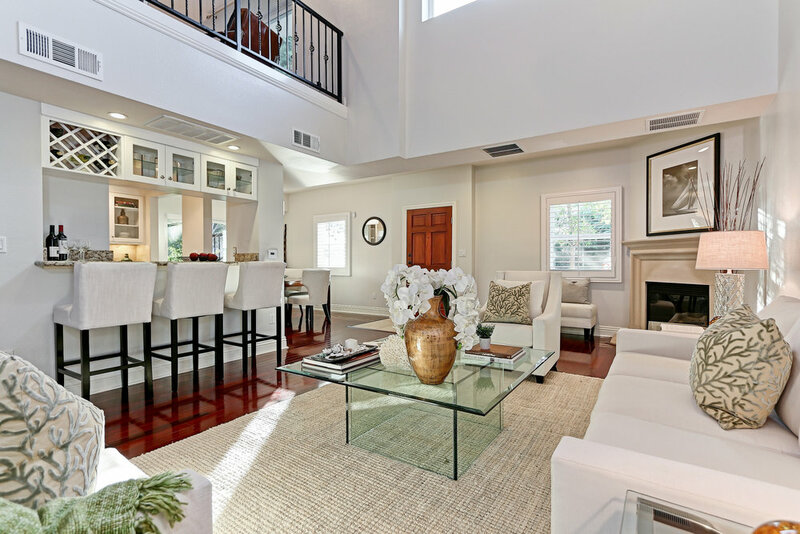 The home is flooded with natural light & offers outstanding entertaining spaces and connectedness for everyday living.